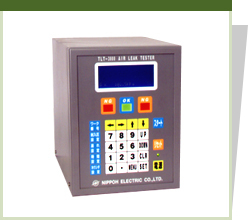 This machine is designed as a sister model of TLT-3000 series. As it does not require a master, it stores data electrically instead and detect pressure drop rate to display as differential pressure. Detection accuracy drops when test pressure is 100 KPa or more. Easy operation & low price. Best suitable for small-volume work. Unbelievable price on Air Leak Tester NLT-3300 in Seremban (Malaysia) company Bestever Enterprise.